Christmas Music Direct from Chicago! Christmas in Chicago! 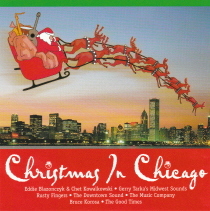 This CD features several artists from Chicago playing music of the Christmas season. This CD is fun and great for celebrating the season year round.